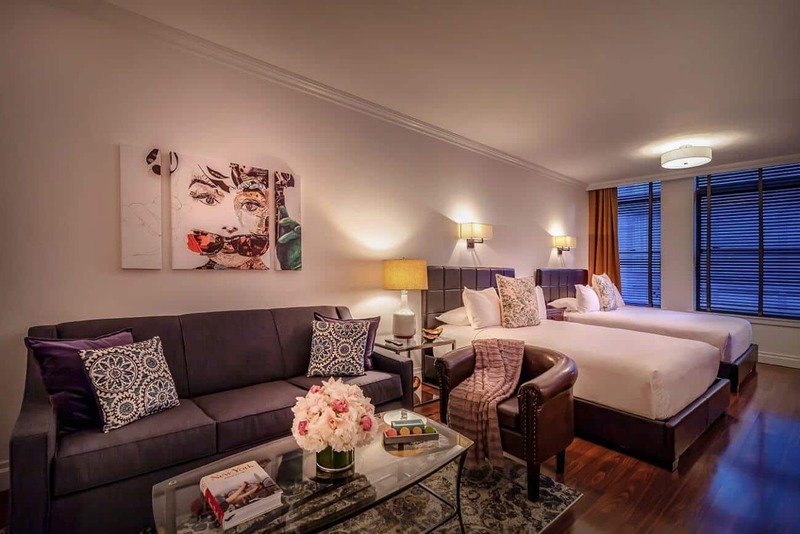 Booking the perfect hotel suite may seem like a daunting task, especially for New York City. Trying to find the perfect location, with the right amenities, and a friendly staff does seem like Mission: Impossible until you consider booking boutique. What is a boutique hotel suite? While there isn’t a hard definition for boutique hotel suites, the idea is generally the same: small, luxury hotels that focus on the finer things without blowing your budget away. Boutique hotels are generally small – between 10 and 100 rooms – and are generally not part of a hotel chain. Instead, they focus on individuality and luxury, with plenty of character to keep things interesting. The attention-to-detail found in boutique hotels begins with location. Generally, they can be found in key areas of the city, next to very urban and in-demand restaurants, shopping, and other attractions. One of the perks of booking boutique is never having to travel far for what you may be looking for. Another perk is the hotel suite’s personality. Unlike chain hotels that offer the same, standard views and layouts, boutique hotels can offer unique décor that ranges from eccentric to chic meaning no two boutique hotel suites will be alike. What you can count on, however, is privacy. Due to the smaller size of most boutique hotels, rooms are limited which means the area is quieter than other hotels would be. Additionally, with fewer guests, the hotel staff are free to cater to each guest, resulting in a more personal, luxurious stay. Speaking of luxury, boutique hotel suites have it in spades. Jacuzzi tubs, artwork, luscious hotel sheets — you name it, they are more likely to have it than their chain counterparts. Everything from the location down to the food ingredients has been well thought-out and prepared for, which will make you feel like you’re staying in the lap of luxury (even if your bill doesn’t reflect that).